More than half of patients 57% reported drug use, homelessness, or both. HealthDay News — Investigations of hepatitis A outbreaks in four states in 2017 suggested a shift toward increasing person-to-person transmission of hepatitis A, according to research published in the Nov. 2 issue of the U.S. Centers for Disease Control and Prevention Morbidity and Mortality Weekly Report. Monique Foster, M.D., from the CDC in Atlanta, and colleagues reviewed clinical charts and interviewed patients using standard questionnaires to evaluate risk factors associated with infection. Outbreak cases were defined as those meeting the 2012 CDC-Council of State and Territorial Epidemiologists’ definition of acute hepatitis A infection, having a specimen matching an outbreak strain, or having an epidemiologic link to a previously identified case. 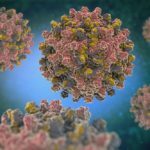 The researchers identified 1,521 outbreak-associated hepatitis A cases reported in 2017 from California, Kentucky, Michigan, and Utah. There were 1,073 (71 percent) hospitalizations and 41 (3 percent) deaths. Among patients with clinical or laboratory records available for review, 3 percent had confirmed or probable hepatitis B virus coinfection and 22 percent had confirmed or probable hepatitis C virus coinfection. More than half of patients (57 percent) reported drug use, homelessness, or both, and 54 percent of cases had an indication for hepatitis A vaccination before becoming infected. “Increasing vaccination among groups at risk for hepatitis A infection might halt ongoing outbreaks and prevent future outbreaks,” the authors write.